Guest lecture in ARTS 410: Arts and the Bible. At the 30:00 mark William Dyrness talks about studying under Rookmaaker. Hans Rookmaaker in discussion with students pictured above. 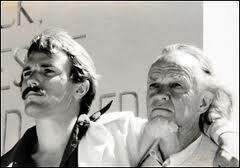 This meeting between Francis Schaeffer and Hans Rookmaaker was to have a profound impact on the history of the modern evangelical church… Schaeffer probed the younger art history student on the meaning of modern art, and the two of them pondered together the impact that post-Christian ideas and values had on European art and culture. Schaeffer already had an interest in culture and had begun visiting art museums after arriving in Europe. Rookmaaker might have been the first Christian Schaeffer had ever met who had seriously studied contemporary art and had the philosophical tools (via Dooyeweerd and his reading of philosophy in prison camp) to analyze and critique the arts from a biblical perspective. It turned out they both had a strong common interest in the relationship between art and Christianity and immediately became close, lifelong friends. 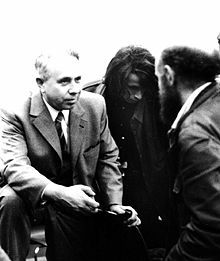 Later, after Schaeffer had established L’Abri in the village of Humoz, Switzerland in 1955, Rookmaaker was a frequent visitor and lecturer to the Swiss community. Hans and Anky opened a Dutch branch of L’Abri in 1971. Laurel Gasque is the Associate Editor of ArtWay and the author of Art and the Christian Mind: The Life and Work of H.R. Rookmaaker. She is also sessional lecturer in theology and the arts at Regent College, Vancouver, B.C. and adjunct professor of art history at Trinity Western University in Langley, B.C., Canada. A European Continental reading of Rookmaaker is needed.So much of what has been written about him offers an American perspective on a person whose thinking was formed outside of American culture, even to some degree outside of Western culture since Rookmaaker’s formative years were spent in the Dutch East Indies. This, together with a tendency to associate Rookmaaker with theological and philosophical thinkers, has masked his unique voice as an art critic and art historian informed by a Christian perspective. Co-opting him to a specific theological perspective is not helpful for understanding his thinking, the dialogue between art and faith or the wider world of art today. Rookmaaker needs to be seen in his own right. In his time he was not separated from the world of the art that he talked about as are most of those who comment on him today. The Calvinist thinkers he is attached to, such as Francis Schaeffer and Calvin Seerveld, had a different background. 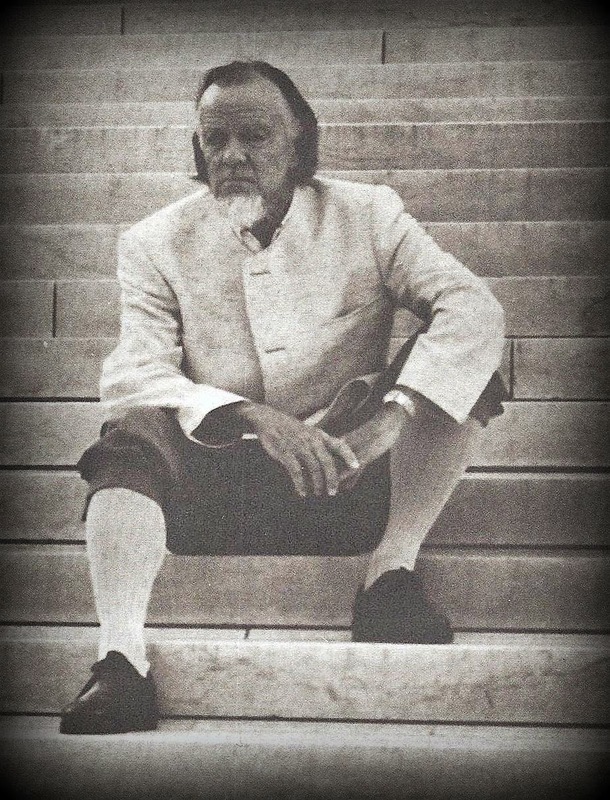 Schaeffer was very much an American, though he lived the better part of his adult life in Europe. Seerveld, though American, has lived in Canada for decades. Providentially, Seerveld’s immigrant family gave him the gift of speaking Dutch and becoming multilingual. Schaeffer was monolingual, despite his living in Switzerland. Rookmaaker was multilingual, something that has escaped his Anglophone critics, who have barely read his Complete Works translated into English for their convenience. Schaeffer and Rookmaaker met in 1948 through Rookmaaker’s fiancée, Anky Huitker, who arranged a meeting for Hans with Schaeffer when he was in Amsterdam to help convene a meeting of the International Council of Christian Churches (ICCC), a Fundamentalist response to the establishment of the World Council of Churches (WCC). Rookmaaker was ten years younger than Schaeffer, still a graduate student. There is no doubt that his meeting with Schaeffer had an enormous impact on both of their lives. Their first encounter started with what was to be a half-hour long conversation that was supposed to help Rookmaaker learn about black music in America. (It is doubtful that Schaeffer knew a thing about this subject!) Their discussion ended at 4:00 AM! To his credit, it seems that Schaeffer listened to this young man and thus received his first lesson in the history of jazz, blues and spirituals, but also in modern art as well. There was definitely a meeting of minds as the two men entered into what was to become a life-long friendship, but this was not a systematic, symbiotic way of thinking that led to a joint intellectual project between the two men. Rookmaaker, in fact, became Schaeffer’s tutor in art. Again, to Schaeffer’s credit, he listened as best he could. But he was already formed by both the American Christian Fundamentalism of Carl McIntire as well as the philosophical apologetics of Cornelius van Til, his teacher at Westminster Theological Seminary in Philadelphia. There is no doubt that Rookmaaker appreciated having an older friend who opened him to a wider world of English speakers. But he always remained his own man. The bond between Rookmaaker and Schaeffer was deep. However, they were quite different from each other. Heartfelt friendship does not necessarily mean total agreement, even when deep values and beliefs are held in common. We see this, for example, in the profound friendship of C.S. Lewis and Owen Barfield. 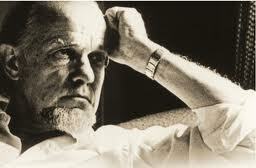 Schaeffer was an American evangelist with a Fundamentalist formation who was also an intellectual. Rookmaaker was a European intellectual with a Reformed formation who was in his own way an evangelist. Artists and art students came to faith after many of his lectures. Rookmaaker was certainly not trying to recruit converts, but his presentations were convincing. Schaeffer and Rookmaaker complemented each other in an extraordinary way that affected the actual lives of many people for much good. Intellectually, they must be considered independently from each other in order to appreciate and to appropriate the direction in which Rookmaaker was heading. He was not the rationalist that Schaeffer tended to be. Before Rookmaaker died in 1977 he had some Schaefferites worried about the direction of his thinking. He was grounded and thinking on a number of fronts. He was not afraid to go where many now associated with post-modernism are in their critique of modernity. He equally espoused art creation by Christians in the contemporary world without any kind of control or constrictions on style. To that end he mentored artists and cared lovingly for his art historian students, even when they did not understand clearly his formation, direction and mission. The personal bond of friendship between Schaeffer and Rookmaaker must remain intact, but the intellectual trajectories of the two men must be separated in order to have a clearer idea of who Rookmaaker really was and what he actually thought and achieved. This quote from Schaeffer also made me wish that Mike Kelley would have had the opportunity to see this video by Dr. Craig because it talks about those like Kelley who think the world is the result of time plus matter plus chance and how life is just absurd without God in the picture. http://reasonablefaith.org – Is life any good or meaningful without the existence of God? Can man have any real value if atheism is true? Does God and Christianity serve as objective meaning to life? Dr. William Lane Craig answers some of these question in this important lecture. Called one of the most significant artists of his generation, Stamps graduate Mike Kelley was an iconoclast who introduced a distinctive Detroit sensibility to the international art world with his references to everything from Soupy Sales to the Vernor’s gnome. He was a founding member of Destroy All Monsters, a collective formed in Ann Arbor in 1974 with artists Jim Shaw, Niagara and Cary Loren. A major retrospective of his work opened at the Stedelijk Museum, Amsterdam in 2012, at the Centre Georges Pompidou, Paris in 2013 and will travel to MOMA PS1, NY in October 2013 and MOCA Los Angeles in 2014. Before his death in 2012, Kelley had begun work based on a life-sized replica of his childhood suburban Detroit home. The new ‘homestead’ has been relocated to the Museum of Contemporary Art Detroit (MOCAD). Cary Loren, founding member of Destroy All Monsters, and Mary Clare Stevens, the Executive Director of the Mike Kelley Foundation for the Arts and longtime Kelley friend and studio manager will speak. Their presentations will be followed by the screening of two videos documenting the homestead’s journey from downtown Detroit to Kelley’s former home in Westland, and back again. Eric and I were very saddened today to learn of the death of Mike Kelley. Formerly of the band Destroy All Monsters (in the earlier, more experimental phases), Mike tried his hand in many disciplines – visual art, performance, experimental music. At the time of this writing, it’s been noted that his death (at age 57) seems to have been a suicide, Faux News suggests due to a breakup, but this doesn’t seem to be backed by any other sources I’ve seen among art blogs or sites, or more likely, people in the art world who knew him and had been in communication with him more recently. It seems fortuitous that for Winter Solstice I’d given Eric the book collecting art from the early Destroy All Monsters zines. At the time I felt that way because there were only a limited number of these books printed and I’d managed to snag the last copy at St. Mark’s Bookstore. This adds an extra specialness to it. This is a page scanned from from said book, many of these collages were collaborative with the members of Destroy All Monsters, so it’s hard to say which elements are specifically Mike. The deceased LA-based artist, Mike Kelley, is one of the leading voices in contemporary culture in the US and Europe. It’s been almost a year that Mike Kelley passed away, but those works left behind hasn’t been forgotten, the public get inspired from this artist with attitude. Recently, the Stedelijk Museum in Amsterdam presented its first major international traveling exhibition. The museum features Mike Kelley, an artist who suddenly died in the beginning of 2012 and who is internationally regarded as one of the most influential modern artists. Mike Kelley’ s sudden death in the beginning of 2012, came as a shock for many of artists and his friends. Episode #104: Mike Kelley reveals how photographs from yearbooks and newspapers in Detroit served as the inspiration behind the performative project “Day Is Done,” shown installed at Gagosian Gallery. VIDEO | Producer: Wesley Miller & Nick Ravich. Interview: Susan Sollins. Camera: Nancy Schreiber & Joel Shapiro. Sound: Tom Bergin & Stacy Hruby. Editor: Paulo Padilha. Artwork Courtesy: Mike Kelley. Special Thanks: Gagosian Gallery, New York. Kelley was an introvert saw repression as the enemy of sanity. He sought out and even embraced life’s darkness; a Poet Apostate who criticized “normative” values, systems of authority and consumer culture. As critics have pointed out his early use of stuffed animals was intended to “drive a wedge between sentimentality and childhood.” His savage critiques appealed to the jaded appetites of some of the art world’s leading collectors. Kinkade and Kelley were the yin and yang of American art, one favored by conservative “red” America, the other by “blue.” Kinkade’s work was sold in shopping malls, at the Disney Store and on eBay, while Kelley’s was shown in elite galleries and contemporary art museums. By contrast, one of Kinkade’s signature images, “The Christmas Cottage,” is a sentimentalized image of the artist’s childhood home; Kinkade reportedly launched his artistic career to save it after he learned that his mother could no longer afford the mortgage. It has been stated that one in twenty homes in America is decorated with some kind of Kinkade print. You have to wonder: how many homes had “The Christmas Cottage” hanging over the fireplace when Countrywide posted the foreclosure papers on the front door? Kinkade reportedly died of “natural causes,” which I assume is a sugar-coating of the actual factors. The artist’s public outbursts — he once reportedly urinated on a Winnie the Pooh figure at the Disneyland Hotel in Anaheim while saying “This one’s for you, Walt.” — and his 2010 arrest for drunk driving suggest that the man’s demons were doing everything they could to burst out. Kelley, by taking his own life, was characteristically honest. His suicide was his admission of unhappiness, a problem that he had discussed openly in his key works. At the time of his death Kelley was reportedly depressed after a breakup with his girlfriend. Mike Kelley died “critically acclaimed.” Thomas Kinkade died “popular.” As Leonard Koscianski pointed out on Facebook, they both had their constituencies. They both had considerable public and financial success. “Mike Kelley,” comments Leonard Koscianski, “made very high priced works that ridiculed middle class sentiment. His works were so expensive that they could never be owned by the middle class he disparaged.” His hanging mixed-media installation, “Deodorized Central Mass with Satellites,” sold at auction for just over $2.7 million dollars in 2006. Kelley, who had once addressed cultural consumerism with a fetishistic phallic candle display called “The Wages of Sin” was represented, at the time of his death, by the world’s most powerful contemporary art dealer, Larry Gagosian. Kinkade’s art and the product line that grew from it was so successful that his art company was publicly traded on the New York Stock Exchange, and at one point had a market capitalization of $350 million (the total value of the stock) based on annual sales of $250 million. Kinkade, who described the art world as “a very small pond…a very inbred pond,” left behind a net worth that is in dispute. One source says “$70 million” another says the artist, who had faced lawsuits by the owners of Kinkade gallery franchises, died “piss-poor.” At the time of his death, Kinkade and his wife Nanette had been separated for more than a year. Kelley’s bracingly strange and searchingly intellectual art appealed to America’s 1%. Kincade’s hyper-sincerity, and his celebration of Christ, baseball, and glowing cottages made him the favorite artist of America’s 99%. They were two American artists who, in their striking divergence, tell the story of a nation whose center seems ready to tear apart. Stress makes people look for extreme solutions, both in life and art. Ultimately, both men seem to have suffered in catering to the almost schizophrenically divided tastes of American society. In public they both maintained powerful identities — a bad boy and a good boy — while in private each one got a bit lost trying to find his way “home” to private peace and reconciliation with his childhood experiences. It might be said — in psychoanalytic terms — that both Kelley and Kinkade ultimately failed to sublimate their impulses and idealizations into workable connections with the world. To those who have never believed in anything consider placing your faith alone in the Christ who came to earth and lived a perfect life then died for your sins. Our views below concerning how to go to heaven (this material is from Campus Crusade for Christ). « More waste out of Washington.